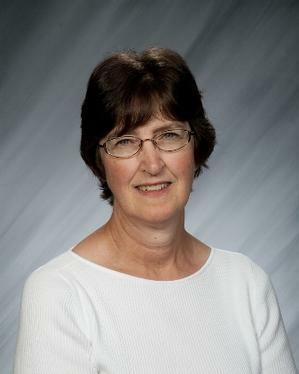 I graduated from Dordt College in 1973 with a major in Elementary Education and a minor in Library Science. I grew up with three sisters on the family farm at Kanawha, Iowa. I graduated from Kanawha Christian School but did not have the opportunity to attend a Christian high school. Because I had no brothers, I learned how to do many things on the farm including milking cows and driving the tractor for various reasons. I married Ivan Van Dusseldorp in 1975. We met at Dordt College. Ivan’s teaching career did not materialize because of the Vietnam War. After his discharge from the Navy, he began farming on the family farm where we presently live. God has blessed us with three children. Our daughter, Rachel is married to Vincent Mutambuki. They have two children, Grace and Will and live at Des Moines, Iowa. Our son, Mark, and his wife, Lisa live near us and Mark farms with us. They have a daughter, Paisley. Our youngest daughter, Ruth, works at the Platte Hospital and is married to Eric Audiss. They live in Platte and Ruth is also going to DWU at Mitchell studying to become an accountant. My husband and I are members of Platte Christian Reformed Church where I am also librarian. We enjoy Bible Studies and other church activities and the fellowship of a small congregation. I enjoy sewing, cooking, quilting, paper stitching, making scrapbooks and gardening. I am always reading. I will often be reading several different books at the same time. I love to buy books for our grandchildren. We travel to Iowa quite often to visit our family who live there. During elections I have quite a passion for the political process and often help with campaigns and the voting procedures. The Lord was very instrumental in the plan of my life by leading me to a teaching position at New Holland Christian School during the 1970’s. The door to part time teaching was opened for me when certified librarians were required in South Dakota Schools. As our new Dakota Christian School was planned I felt the call to organize the two libraries at our new school and to accept the position of librarian. I enjoy seeing young students catch the excitement of reading. The development of new technology has impacted the way library resources are used. Sets of hard cover encyclopedias are replaced by electronic resources. Librarian and educators have a huge task in keeping up with the technology that is used for research and discovering the world that God has created. I enjoy the challenge. Art is also a fascinating subject which can be used for God’s glory. It is exciting to see the creativity and talents that the Lord has given to each individual student.